Can class blogs improve writing? Could blogging be the answer to engaging all children in developing their writing skills – even the most reluctant? Myra Barr and Sarah Horrocks describe the surprising benefits of a more spontaneous, laid-back approach to writing. With the new primary accountability system now counting reading and writing as two separate subjects, the need for engaging all pupils in developing and improving their writing skills is greater than ever before. But what to do when students are unenthusiastic about writing? Many teachers are launching class blogs as a way of giving their students the space to share their work with parents and peers, and an incentive to improve. On the flip side of the coin, we have the students who already enjoy writing and developing their skills. Blogs benefit them too, by giving them the chance to share their talent with the whole world! The students in between all benefit as well, as school ‘work blogs’ (blogs set up for educational purposes, as opposed to ‘play blogs’) allow teachers to establish learning dialogues with the pupils and give them another way to document and share their learning, other than creating classroom displays and writing it all down in their books. The extent to which pupils are involved in organising a school blog and posting their contributions generally differs. In some schools, pupils write their blog posts only in school time, while in others, they blog and post from home – which does raise issues about access to computers and the internet. The extent of teachers’ contributions, as well as the control they choose to exercise over blog content, also varies. Before now, no research projects have considered whether there are differences between pupils’ digital writing and their regular school writing on paper. There is some evidence to suggest that blogging sparks pupils’ interest and enthusiasm for writing, but little attention has been paid to its effects on the quality of writing in general. 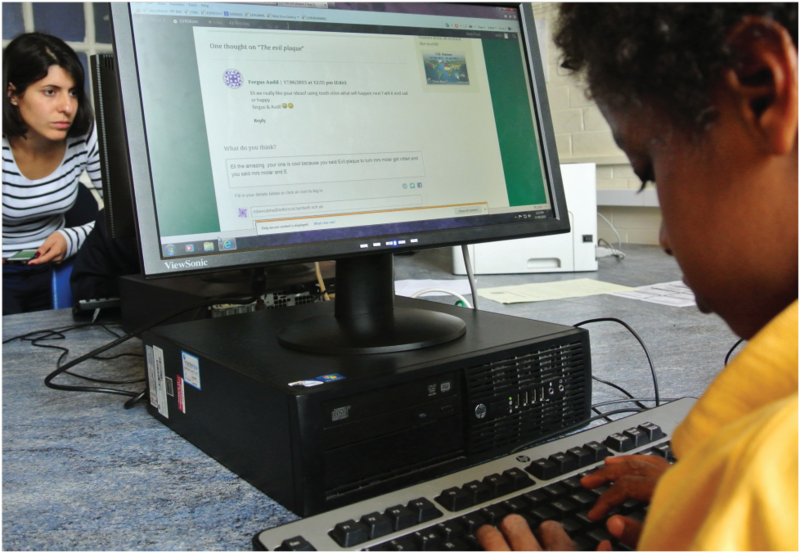 It was in light of this that CfBT Education Trust’s London Connected Learning Centre (London CLC) undertook a piece of research to investigate the differences in pupils’ writing on blogs compared to their other writing. The project also aimed to explore the potential for using blogging to develop pupils’ writing skills, and to identify good practice in blogging. All but one of the four primary teachers in this project had been blogging for more than a year and had taken different routes into blogging. The story of Harvey, told in this post, provides one account of how a teacher became involved in blogging and what he saw as the potential benefits for his Year 6 class in this new approach to writing. For Harvey, it was the London CLC’s conferences and professional development opportunities for ICT leaders, alongside the contacts he made with other schools involved in blogging work, that suggested to him that blogging could have real potential for improving children’s writing. He also followed other blogs, particularly that of Ferry Lane Primary School, whose Year 6 teacher had posted some very helpful videos and guidance about blogging. Harvey set up a WordPress blog for his own Year 6 class, with the help of London CLC staff, in January 2012, and chose Primary Blogger as the platform for the blog in September 2012. Harvey did not use an ICT suite, but had six computers in his classroom. For blogging, he instituted a system where the class was divided into five groups, each of which had a blogging session once a week during guided reading sessions. At the beginning of most weeks, he put up a blog post for the class to respond to, often – but not always – linked to their class reading. He also sought out short films on particular themes for the class to view and respond to. In their blogging sessions, the groups had to post their responses to these ‘invitations’. In the course of the project, these short films included animations (The Lonely Robot, Galileo Galilei), and short films about social and environmental issues (a trailer for An Inconvenient Truth, a film about children who live on dumpsites in Manila related to the reading of Trash). Children were also invited to create their own radio adverts and record them for the blog. They frequently posted their own suggestions for blog posts. In addition, they kept up with the blogs of their QuadBlogging partner schools. Interestingly, among the schools and classes that took part in this study, only Harvey’s class had permanent computers in the classroom. 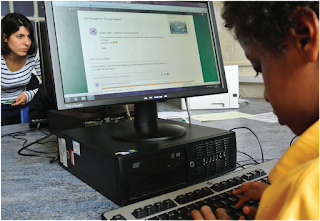 This enabled him to incorporate blogging into his guided reading sessions or other class-based activities. Harvey saw this as a real advantage, not least because it enabled him to moderate pupils’ blog posts through the week rather than in one go. Although the pupils in this classroom got no additional timetabled provision for blogging, they had a lot more informal access time within the school day. Evidence from other classes suggested that the timetabled use of ICT suites did seem to be holding back developments in blog-writing. Harvey’s Year 6 class was at home with blogging though many of the class said they liked writing in their books more than writing on the blog. This comment reveals one of the attractions of blogging – it was not subject to the same constraints and the same detailed assessment as writing in ‘literacy books’. There was not the same emphasis on the need to include ambitious vocabulary (‘wow words’), or ‘good sentences full of adjectives’. In general, blogging seemed to teachers to have contributed to a general improvement in pupils’ writing over the course of the project, even when their writing on the blog was not seen by their teachers as being as careful or as accurate as their writing in their books. Blogging had been a ‘game-changer’ for pupils – it had made writing fun, even for reluctant writers, and had also given them valuable writing practice as well as a sense of a wider audience for their work. Both teachers and pupils emphasised that one of the key features of blogging was that the audience for the blog was potentially ‘the whole world’. And yet, somewhat illogically, there was little emphasis given to editing and revising blog entries in these classrooms. Teachers from Canada and Australia replying to the project’s international questionnaire stressed that publishing on the blog for a global audience routinely involved their students in editing and revising. For the London teachers and pupils in the project, however, blogging had become an area of relative freedom and experimentation. The literature about blogging constantly emphasises the importance of the wide audience that blogging can provide for children’s writing; however, it was clear from this project findings that, for the children in these classes, one of the key audiences blogging gave them access to was the audience of their own class. Blogging had made the pupils in all these classes much more conscious of each other’s writing. They rarely read the work in each other’s books, but on the blog they did. They would also comment on it, and were sometimes influenced by how each other wrote. The commenting function enabled them to communicate with other writers and respond to their writing directly – not everything had to be channelled through the teacher. Consequently, they became more aware of their own writing and more interested in how they might improve it. The blogs had established an area of sharing and a writing community. Myra Barrs is a freelance author, consultant and teacher. Sarah Horrocks is the Director of London CLC, part of the CfBT Education Trust. You can read their full report on the findings of this project here. Is teaching computing in schools just about training programmers for the future, or is it something more? Adam Lipecz considers the liberating power of technology. "Programming is infiltrating loads of different traditional areas, … Learning how to code allows kids to do their own thing, be creative and secure a job in an area where there will be a huge shortage." "I view computer science as a liberal art. It should be something that everybody learns, takes a year in their lives, one of the courses they take is, you know, learning how to program. Because it teaches you how to think." Steve Jobs in 'The Lost Interview', 1995. These are visionary people speaking from deep understanding and experience of an aspect of life, and because they feel this is something that they must stand up for. 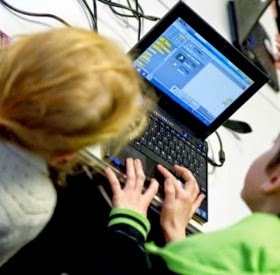 Last September, teachers of all age groups were thrown in the deep end of teaching computer programming as a mandatory part of the new curriculum. But how confident do you feel about this subject? Could you explain to a fellow teacher why computing is important in the classroom? How can you teach it efficiently and interestingly? What tools should you use? In this article, I will shed light on some possible answers. There was a teacher who shadowed two students over two days in order to experience what it's like to learn in schools today. She wrote of her experience: “I wish I could go back to every class of students I ever had and change a minimum of ten things”. And as a child's body, so is their mind. If they are forced to sit, passive and motionless all day, how on earth do we dare expect their mind to be active, creative and proactive? Kids have to be challenged in the classroom - they have to be moved. 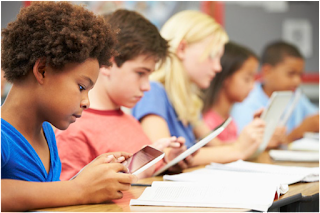 Why are virtual games and smart devices so irresistible to children? It has nothing to do with screens, buttons or ones and zeroes. First and foremost, they are interactive. They let the kids decide the path of their discovery. For every action (which they can make freely and without any fear of public retaliation), there is a reaction from which they can learn. Second, virtual games are often professional products, meaning they are visually appealing, build on core genetic impulses and operate with subconscious triggers. This is a great opportunity which lies unused by some teachers - kids love and have grown attached to technology. With the guidance of a tutor, this can be turned to the advantage of both teacher and pupil; a perfect tool to engage and have attention advantage. 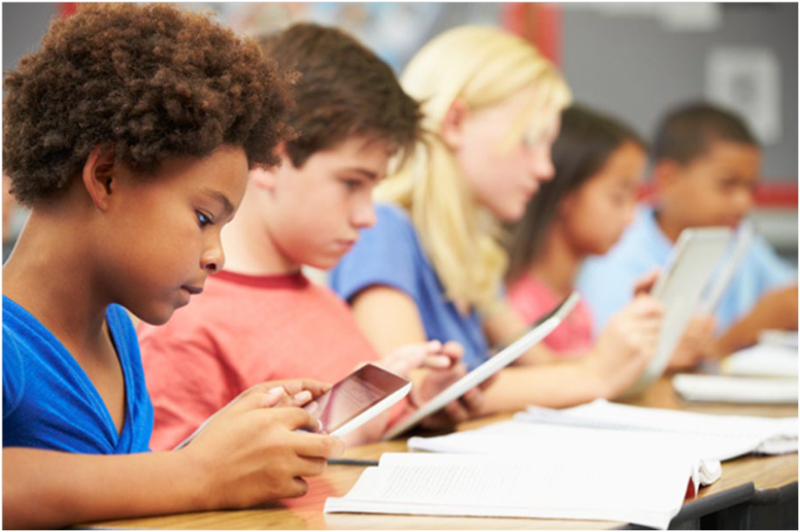 Technology is all around us - it’s here to stay - and we not only have to get kids ready to use it, but build it too. They might already be digital natives, but teaching them the principles of coding helps them grasp how technology works 'under the hood', and the ultimate goal is to explain how the building bricks of technology come together to create the world we live in. Programming is a creative, highly interactive process, providing instant and clear feedback - a cornerstone of how kids function, and how they like to learn and discover. It promotes 4C skills (Communication, Collaboration, Critical thinking and Creativity) and helps in learning how to build efficient mental models. Computing lessons are not only to train programmers for the future. Sure, that’s also a welcome by-product, as the UK will have a shortage of 249,000 workers for technologically skilled jobs by 2020. But programming, whether a potential career route or not, is an essential asset for our newest generations. 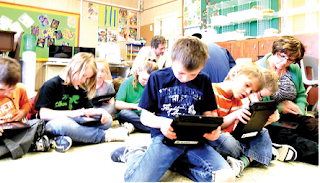 As a teacher, you are the one expected to introduce children to the digital world of computing. This responsibility of a first impression is both powerful and potentially dangerous. You can make them love or hate it. So I would like to suggest some ideas that can help you. Be open and motivated. Speak to fellow teachers about their ideas and methods, organise meetings on this topic or join an existing movement like CoderDojo or the UK initiative Coder Club. Be prepared to accept help and be lectured by people whom you never thought you would get advice from. Even from pupils. Be innovative. 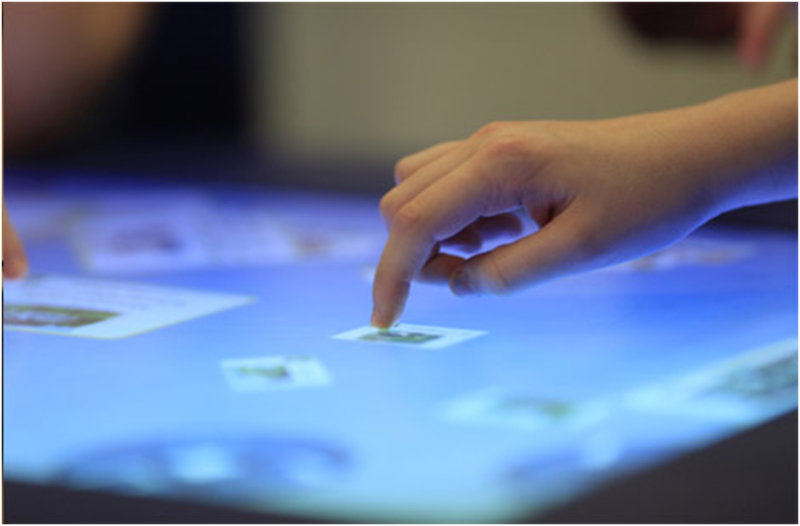 You don’t need pricey iPads to introduce computing ideas to kids. With some clever games, like 'How to train your robot', developed by Nikos Michalakis (aka. Dr. Techniko), basic concepts can be easily taught in a fun way. Also there are affordable tools like Codie - robotic toys which work with a smartphone app, and allow children to interact and make codes in just two minutes. Do your research. There are plenty of online tools, tablets and other touch-screen based apps, as well as educational toys and packages that you can integrate into your computing lessons. And remember, at the end, the most important player in this game is you, the teachers, who are actually in the classrooms, helping kids to reach their dreams. By Adam Lipecz, co-founder and CEO of Codie, making robotic toys that teach the basics of programming. Find more information on Codie at: www.indiegogo.com/projects/codie-cute-personal-robot-that-makes-coding-fun. A brief guide to some of the key terms and features of popular coding tool Scratch. Scratch is swiftly becoming one of the most popular tools for teaching coding in the classroom. We definitely recommend it - it's great fun and simplifies the programming process really well - but it does come with its own lingo, which teachers will need to know before they start using it with pupils. The techno-whizz need go no further. This guide is for anyone who thinks hats are for heads, stages are for theatres and Sprite is a fizzy drink of lemon and lime. Scratch user interface - Includes everything needed to create a project. On the left is the stage and sprite list, in the centre the blocks palette (filled with click-and-drag code fragments called ‘blocks’ - see below), and on the right the scripts/costumes/sounds editors. Blocks - Puzzle-piece shapes which snap together to create code. There are 12 categories of blocks, including motion, looks, sound, pen, control, sensing, operators, and variables. 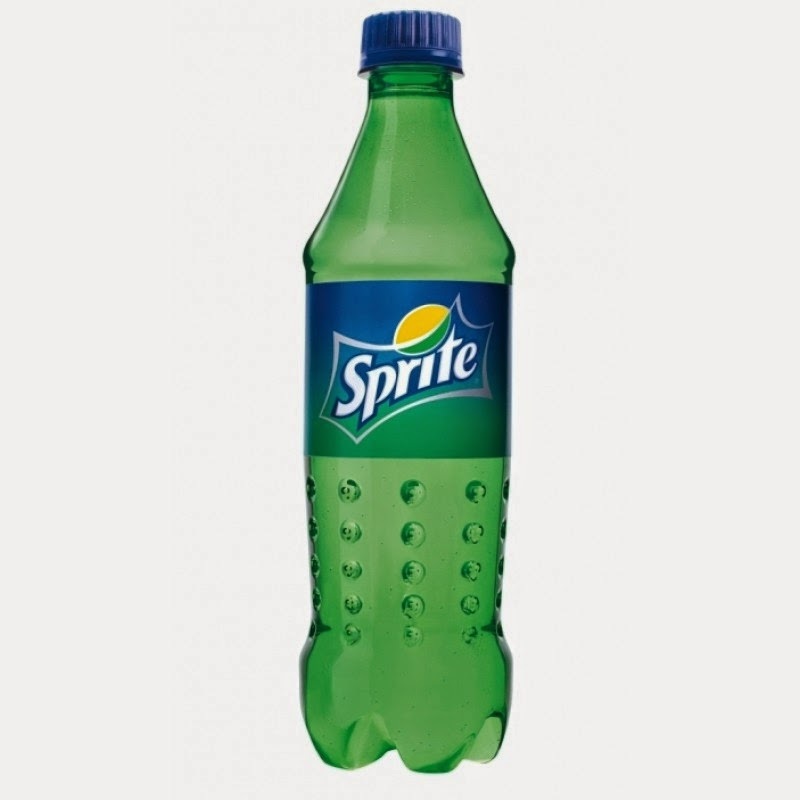 Sprites - Objects which are used to make up Scratch projects. They can be user-created, uploaded, or found in the sprites library. Costume - Images used to define how a sprite looks. 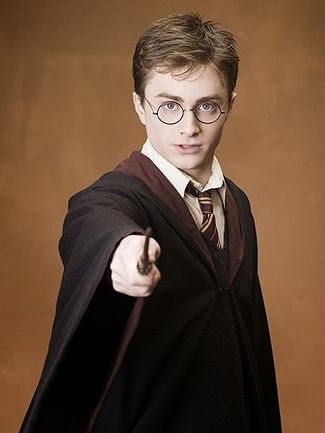 Costumes may be of these image formats: JPG, BMP, PNG, or GIF. Each sprite as at least one costume, but can have more – for example, the position of the arms and legs of a dancing sprite may change as it moves. Stage - The term for the background of the project. It can have scripts, backdrops and sounds. No sprites can move behind the stage - the stage is always at the back layer. Backdrop - Costumes for the stage. Backdrops are used to change the appearance of the stage. Script - A collection or stack of blocks that all interlock with one another. They determine how the sprites interact with each other and the backdrop. Hat block - The block used to start a script – for example, the hat block may program a game to begin when the green flag is clicked. Hat blocks are designed to sit at the top of a script, and no block can be place on top of them. Green flag - A button which, when clicked, will start all scripts in that project that are hatted with the ‘When Green Flag Clicked’ block. Stop sign - A button which, when clicked, stops the running project immediately. Project sharing - Allows others to view your projects, look inside them, and remix them. To share your project, click the ‘share’ button in the orange bar above the project screen. Sharing a project shares it with users all over the world, so avoid including any personal information. Project notes - Notes that accompany a shared project, explaining to others what the project is about and how to use it. They appear to the right of a shared project’s webpage, and are visible to all users. For more information, visit: wiki.scratch.mit.edu/wiki/Scratch_Wiki_Home. For ideas for using Scratch in the classroom, see Dylan Ryder's article, Starting from Scratch, in the most recent issue of Creative Teaching and Learning magazine. Sorry! This article has been moved. Click here to read. Have you cracked the code of the new computing curriculum? The new computing curriculum came into force back in September, so the pressure is now on to deliver outstanding results. Here, primary deputy head Anthony Sharp explains the steps his school has taken to successfully deliver new terrifying topics such as algorithms, logical reasoning and debugging. In a recent survey from CPD for Teachers, 52 per cent of headteachers who responded said that they felt their school was not successfully delivering the new computing curriculum. And it's not surprising. There have been seismic shifts in what we expect from teachers to deliver the new computing curriculum. ICT used to focus purely on computer literacy, teaching pupils how to use software packages - for example, creating PowerPoint presentations or producing documents in Word - and e-safety. With the new curriculum, the focus has changed to understanding how computers work, including how to program them. We have good teachers here at Midfield Primary who are competent and can teach ICT to a more than acceptable standard. However, when we reviewed the new computing curriculum and compared it with our current teaching programme, clear gaps emerged. Quite quickly for example, we saw that there was a gap in programming skills in our school, as well as a lack of confidence from our teachers who were concerned that they would not be able to deliver parts of the new curriculum. My suspicions were confirmed by the results of the aforementioned CPD for Teachers survey, which showed that we were in the same boat as many others. Forty-four per cent of schools who felt they were not delivering the new computing curriculum effectively had also not received any face-to-face training. It was clear that our teachers needed more guidance. We needed to prioritise computing curriculum training to re-set teachers’ thinking, eradicate the fear of programming and give them further information on how to deliver it effectively. We selected a course that met our needs in terms of being practical and hands-on from the start. It covered the fundamentals of computing programming through exciting tasks such as drawing computer graphics, creating simple games and interfacing with the real world. When you talk to someone who doesn’t like maths, there’s often no particular reason they don’t like it - they just don’t. The same applies to a lot of teachers and adults with computers. The approach taken in the training course really helped to break down those feelings and reset their thinking. Now, for example, the teachers explore how they can engage the children in programming, rather than the preconceived idea, which was along the lines of opening up a computer and looking at wires. This gave them the confidence to approach it. Now, far less concerned about what they don’t know, they focus on what they do know. The cross curricular content from computing compared to science, English and maths is quite extensive, so using the skills and working with these experts to help deliver programming was a great starting point for our school. Much to our surprise, we didn’t even go near a computer at first! The course instructors had us push all the tables and chairs to the side of the room and literally walk through a program. One of the methods we used was to create an obstacle course which was navigated by answering/asking questions. The responses to the questions determined the player's next step. This brought programming to life and helped us to understand the way that coding works. It was a simple way of demonstrating binary logic, and we will use this to introduce basic programming to our primary pupils. In the afternoon, we applied the knowledge from the activities of the morning to digital situations. Overall, the face-to-face training was great and broke down any aversions teachers may have had about how to engage the children. It was fun, engaging and very motivational. One tricky area for us in teaching the new curriculum to primary school children was making it engaging and fun for children of a young age. The course gave us some really innovative methods of delivery, which has helped us engage children so that they enjoy it. The feedback so far has been very positive. We now deliver and prepare for lessons as teams so that we can share the knowledge and use a collaborative approach. It has made our teachers less nervous and has increased confidence in the classroom, as it gives them ways to approach it and they are far less concerned about what they don’t know. The focus now is on what they do know and what other existing skills they can draw on to help them deliver programming. The fear at our school for many teachers used to be that once you set children on their way, it’s possible that they will steam ahead of the adults. This is natural, as adults are scared to press the wrong button, whereas children don’t have that fear so are free to explore. We’ve learned not to fear this situation - in fact, the opposite! We are embracing the possibility of this as a positive outcome, and we can use those skills and even channel them into our own teaching. We are still at the start of our journey but, I believe, in a good place to move forward in delivering the new computing curriculum with confidence. 1. Focus on what the teachers already know. 2. Explore curriculum crossover from maths, English and science. 3. Invest in face-to-face training to give teachers confidence. 4. Team up in a collaborative effort to engage your class. 5. Focus on making it engaging and fun for both teachers and pupils. Anthony Sharp is deputy headteacher at Midfield Primary School in Bromley, Kent. Midfield chose to prepare their teachers for the new computing curriculum with the CPD for Teachers 'How to teach programming' course. Find out more at: www.cpdforteachers.com. Looking for a short but thorough introduction to programming? In this free training video and accompanying article, Chris Thomas explores the basics of programming and two tools that will make teaching it a lot simpler. Explore an underwater world, question marine scientists, and discover the impact humans have on this fragile ecosystem with Digital Explorer's latest online expedition – Coral Life 2015. If you dive on a coral reef today and you are over 36, you are doing something that a child born today might never be able to do. “It was the abundance that was most striking. Sheer abundance of life. I have never experienced anything like it. So much movement, so many colours, it was like an underwater Eden,” remembers ex-teacher and explorer, Jamie Buchanan-Dunlop. 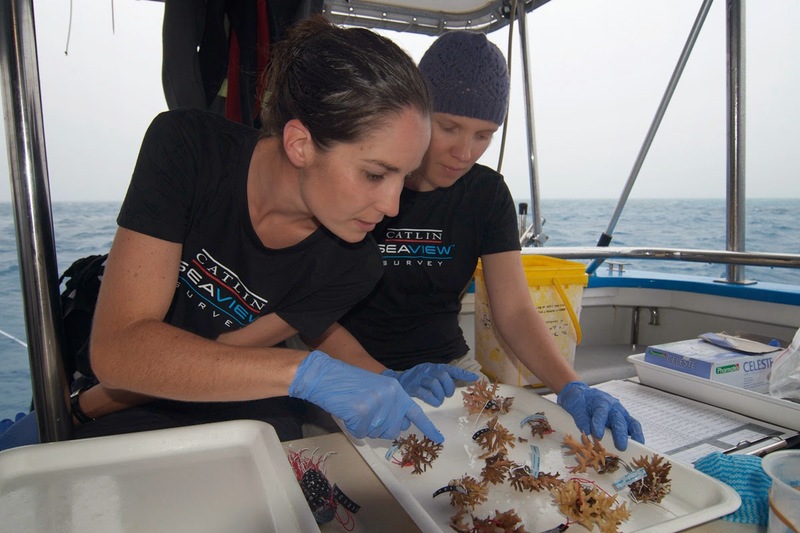 In 2012, Jamie was working with the Catlin Seaview Survey on Agincourt Reef, a part of the Great Barrier Reef, and experienced the reef for the first time. With some experts estimating that the world’s coral ecosystem may be in terminal decline by 2050, this first experience was particularly poignant. Two years after this first dive, Jamie is returning to the reef, but this time is taking classes round the world with him. 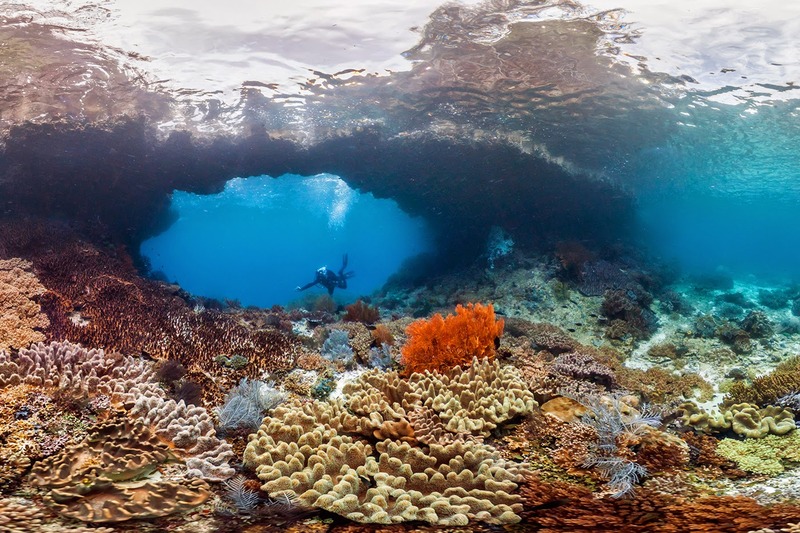 As part of the Catlin Oceans Education programme, Digital Explorer is inviting thousands of students to join an expedition to Timor Leste in South East Asia’s Coral Triangle to investigate the awe and wonder of the coral reef. The expedition team will be specifically investigating the fragile habitats and ecosystems of the reef, the impact of human activities, local conservation efforts and the future of the Coral Triangle. “Our vision for Coral Live 2015 is that as many classes around the world as possible have the chance to speak live to a marine scientist or expedition team member about this unique ecosystem and the diversity of life that depends on it,” said Digital Explorer’s Jamie Buchanan-Dunlop. 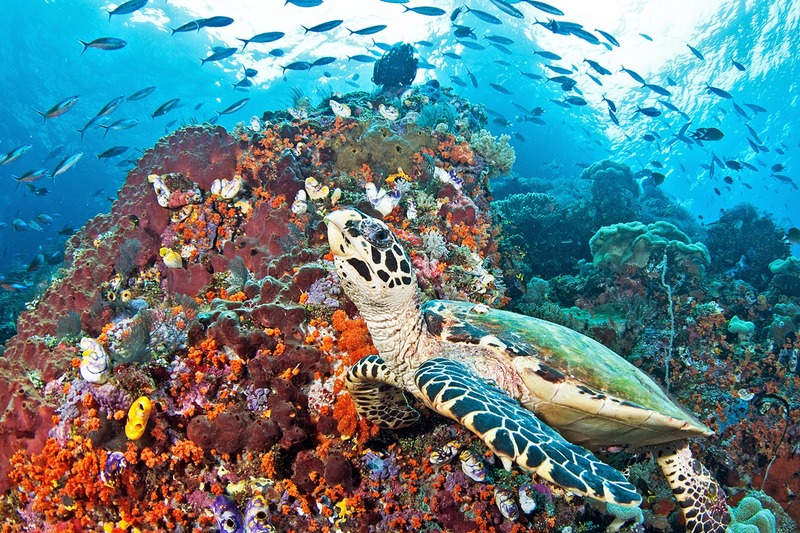 According to a recent report by the Asian Development Bank and the Coral Triangle Initiative, effective marine management could hold the key to protecting coral reef systems such as establishing ‘no take’ zones, managing the issues of land run-off and the rehabilitation of mangrove forest. So, Jamie and team will also be speaking to communities, scientists and government in the region as the basis for an education programme on the sustainable management of coral reefs. From 20 to 29 January 2015, schools will be able to connect and interact live via satellite with Jamie and the expedition in Timor Leste from the comfort of their classrooms. 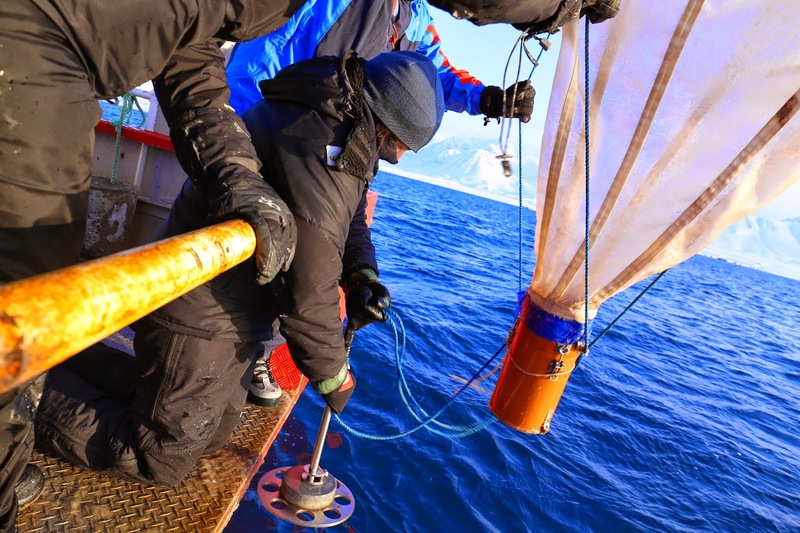 There is also a full education programme available to accompany the expedition on the Digital Explorer website based on the research and journeys of explorers and scientists taking part in the Catlin Seaview Surveys since 2012. The Coral Live! education event allows an innovative and engaging approach to educating young people. 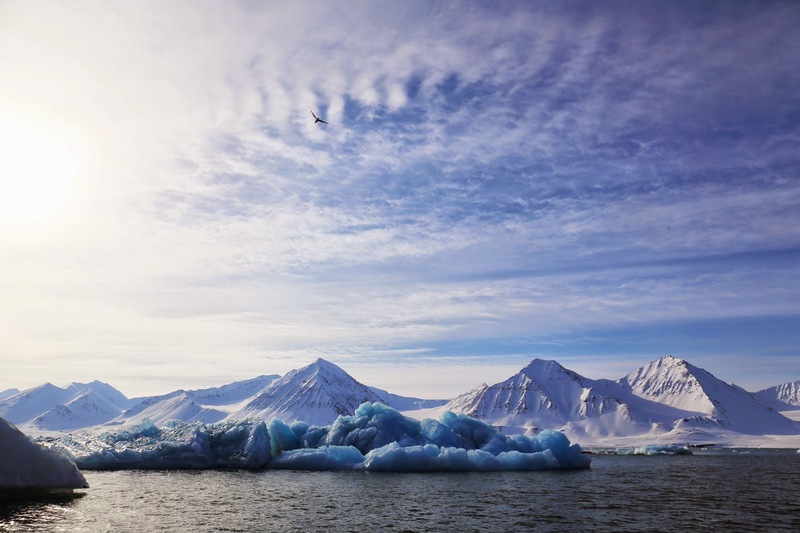 To follow Jamie’s journey, check out the Digital Explorer blog for daily updates of the expedition. You can find more information on booking a Skype lesson with Jamie and the team here. The beautiful and fragile ecosystem of the coral oceans is dependent upon the protection of future generations so it is more important than ever to engage students from a young age in the protection and preservation of our environment. Simple comprehension of a text isn’t enough. To be high-level readers, children need to be able to infer meaning that goes beyond what the text explicitly tells them. But how can we teach them to do this? 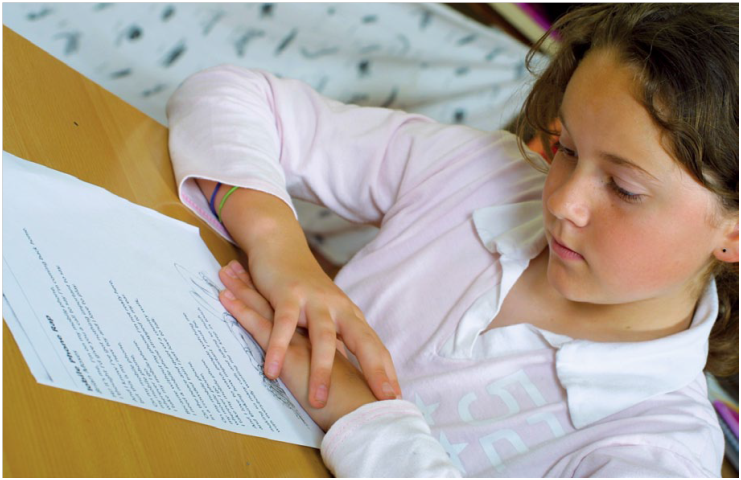 In this blog post, you'll find an outline for a session on inferential reading for use with Key Stages 2 and 3. There's also a free worksheet for you to download from our website and a number of suggested starter activities. 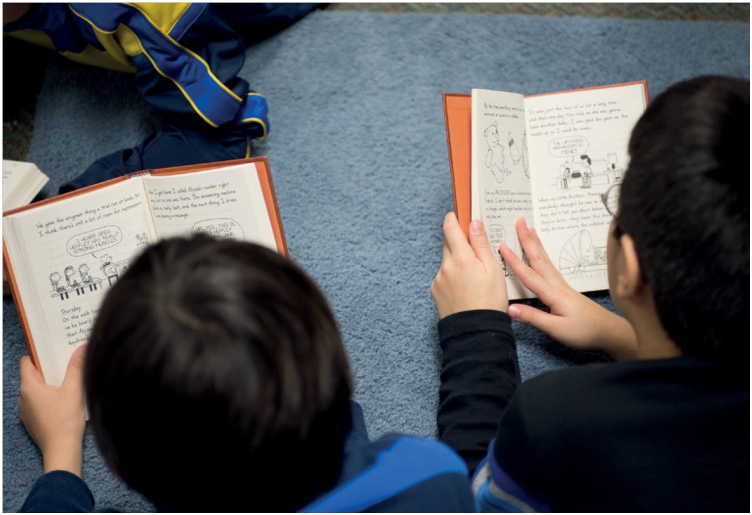 But first, what is inferential reading, and why is it so important? Inferences are the conclusions we draw based on what we already know and judgements we make based on given information. When reading inferentially, students use the information the text provides, combined with prior knowledge, to make assumptions about meanings which are not directly stated. The ability to make inferences is important for reading comprehension, but also more widely when analysing and critiquing texts. Inferential reading is vital to understanding the aims of a writer and the impact of their work on its audience, which, in turn, are crucial to the study of literature – at GSCE and beyond. So we've established the importance of inferential reading – but how do we teach it? 1. Introduce the notion of making inferences from text. You can do this through an example text or poem (such this one here); a brief, sentence level activity (such as ‘Cucumber Cues’ or ‘Simple Sentences’ – see 'Activities to introduce inferential reading' below); or a discussion on the inferences students make in everyday life. 2. Hand out the text or section of the text you will be working on. Give each student the activity sheet ‘Reading and discussing texts together’ - download this for free here (download begins straight away). 3. Encourage students to discuss their prior knowledge about the topic. They will need to think about their experiences, background knowledge, what they have heard and seen, and other books they have read, then record their ideas in box 1 on the worksheet. 4. Students make predictions about what they might learn from the text or what might happen in the text, filling these in box 2. 5. Students record any questions they have about the text in box 3. 6. Ask students to read the passage as a whole without interruption. 7. Have students review their written predictions about the text. 8. Ask students whether they needed to modify their ideas in light of the text, and how the new information changed or reshaped their prior knowledge. They write this down in box 4. 9. Students complete the activity with a summary of the text in box 5, filling in the most important facts from the text in chronological order. I like to eat peanut cucumber. A dog has four cucumbers. I clean my cucumber with a toothbrush. 2. Students work individually or in pairs to write out the sentences, changing cucumber to a word that makes better sense. 3. Students share their responses with the class and identify words that gave them clues to the word they substituted. Ask students to relate the clue word to their background experiences and explain how this background information helped them find an appropriate substitute word. Sue blew out the candles and opened her presents. John went running out into the street without looking. We bought tickets and some popcorn. Roy van den Brink-Budgen explores ways teachers can develop the critical skill of inferential reading and the research behind it in our upcoming issue of Creative Teaching and Learning. Watch this space for more information! be available in real life by 2030! British children believe many popular elements of science fiction may become science fact before the century is out – and it seems top scientists agree! The Big Bang Fair UK compared results from a panel of top British scientists and a study of 11 to 16-year-olds, and found that both groups think invisibility cloaks (similar to the cloak used by Harry Potter) will be available before the end of the 21st century, with scientists setting the date for 2030 – just 15 years from now. Teleportation will come next, the panel of scientists claimed, becoming a regular feature of life by 2080. The polled children were just two years out on average, predicting that this would happen within 63 years. Time travel was the one area where the youth panel got ahead of themselves. 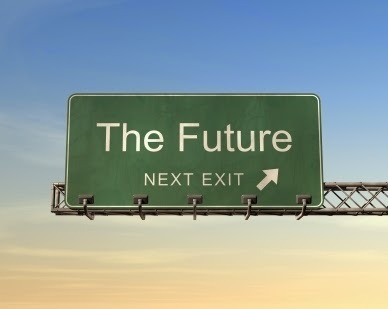 While children think that time travel will be possible by 2078, scientists believe it may take a little longer. 2100 was the date they set. Paul Jackson, CEO of Engineering UK, said: "The amazing and seemingly impossible things young people see in films and television are acting as a stimulant for them to think about what they could be capable of doing in the future. Almost a fifth (19 per cent) of young people said they dream of becoming a lightsaber developer, and 22 per cent want to be a teleporting instructor. More than a quarter (27 per cent) even said they would consider a career as a time travel engineer, so we will need to think carefully about how we could provide useful careers advice for that 27 per cent!" He added: "Although adults may be constrained by what we believe to be possible, the imagination and creativity of schoolchildren knows no bounds. This is so encouraging to hear, because ultimately it will be the younger generation who make these sci-fi dreams a reality – and it’s crucially important to spark their interest now to supply the next cohort of scientists and engineers that Britain desperately needs to continue this research." The Big Bang Fair is the UK’s largest single celebration of science and engineering for young people. It will take place at the NEC, Birmingham, from 11-14 March 2015. Do you find yourself complaining about the photocopier jamming again? Or perhaps the appalling coffee in the staff room? Or the gridlock on the way into school? We know that every school from the UK to Uganda has its problems and we would never belittle them. 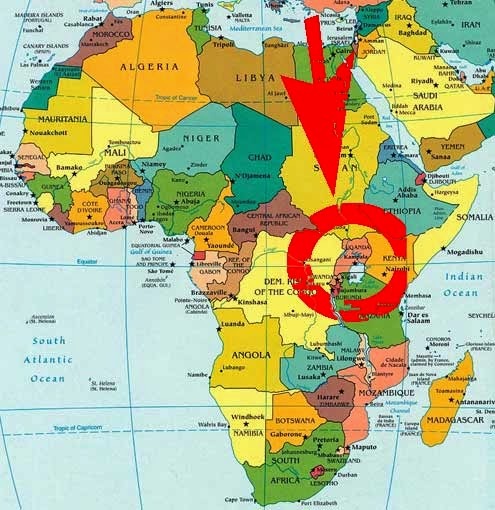 But we would like to invite you on a trip of a lifetime - a ten-day adventure to the rural primary schools Build Africa supports in Uganda. 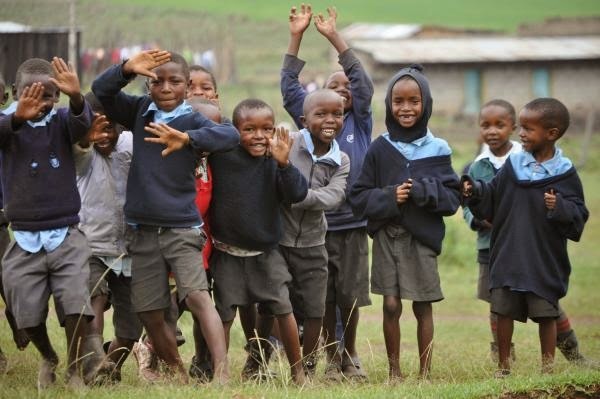 Build Africa’s ten-day trip to the rural primary schools it supports in Uganda will open your eyes and heart and change your life in all sorts of ways. And you will be able to make a huge difference to the Ugandan pupils and teachers you meet. 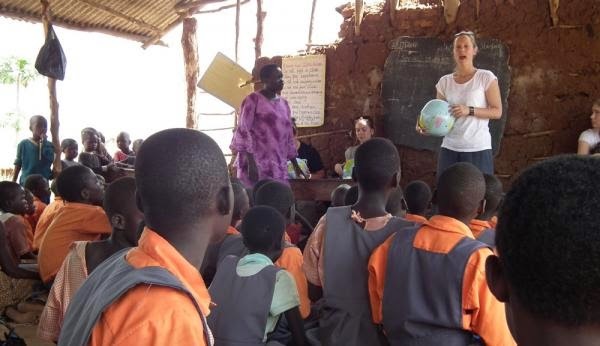 Using your experience, knowledge and skills as a qualified teacher in the UK, you will inspire and be inspired by the attitude of pupils, staff and parents at Ugandan schools who operate with woefully inadequate resources but enormous enthusiasm. 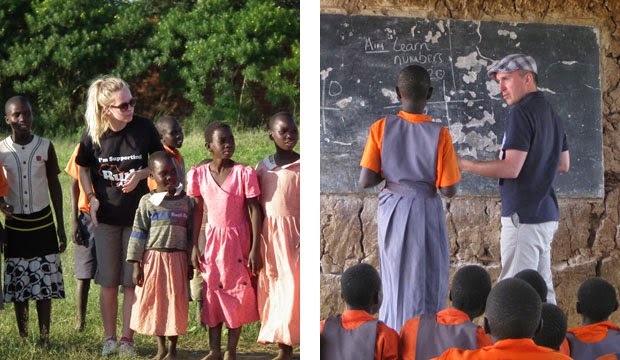 There are so many benefits for you and the Ugandan schools you will visit. It’s a cliché, but it really is a win-win situation. You will be part of a group of like-minded, qualified UK teachers who will be there to share and enhance your experience. And our exceptional Build Africa Uganda team will accompany you throughout your trip and help you make the most of every opportunity to learn about this very different culture. It is one thing to read about exposed and dilapidated classrooms crammed to the rafters with up to 150 pupils at a time, classrooms with no computers and not enough desks or text books, but it is a very different thing to experience it first-hand. It is something that will really hit home when you witness it for yourself, we can guarantee you that. People often chat about ‘making a difference’ but never actually do anything about it. Well this is your chance to do more than just imagine what it would be like. It is an amazing opportunity to exchange ideas on teaching methods, to experience a completely different culture and witness the daily raft of challenges that Build Africa’s Ugandan schools face. Perhaps you will become an advocate for our work as a result. We certainly hope so. You will be getting a unique insight into a very different world, but you will be surprised to find that in spite of all the obvious differences between the two countries (particularly in terms of resources), there are also many challenges in common. The long hours and heavy workload may be depressingly familiar, but that does mean that you will be able to share your experiences of these problems with the Ugandan teachers - like-minded professionals who are deal with the same day-to-day issues as you. You will have helped improve the lives of schoolchildren in a desperately poor part of the world and that experience cannot fail to enrich you too. When you return home to your centrally-heated classroom with its internet access and a mere 30 pupils, you’ll probably still have gripes about your life as a teacher. Of course you will – you wouldn’t be human if you didn’t. But having witnessed first-hand the challenges in our Ugandan schools, hopefully your perspective will have changed and the little things won’t grate quite so much. The Build Africa Uganda Trip is self-funded, but by raising your own funds for the trip you not only help us to continue our vital programmes within Ugandan schools, but also those who sponsor you or help you raise funds for the trip will hear about and have an emotional investment in both your trip and our work. Details of this once-in-a-lifetime trip are available on the Build Africa website, but if you have any further queries whatsoever, please contact the trip organiser, Deirdre Bruce-Brand on 01892 519619 or email deirdre@build-africa.org.uk and she will be happy to talk through any questions. So if you have a spirit of adventure… if you would want to escape the same old, same old… if you are ready for a profoundly rewarding experience that will change your life and the lives of those you meet, then please don’t hesitate. Get in touch with us and together we will get you started on the trip of your lifetime. That staff room coffee will never taste the same again!